Best Chinatown quotes, with movie clips,ranked by fans. 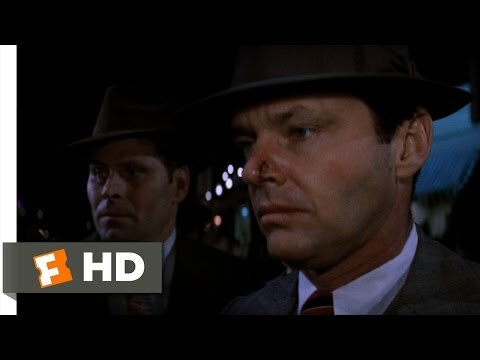 This list of great movie quotes from Chinatown collects all of the most famous lines from the film in one place, allowing you to pick the top quotes and move them up the list. Quotations from movies are repeated all the time in other movies, on television, in speeches and in day-to-day life, so having a good knowledge of good movie quotes (and having resources useful to search movie quotes) have become essential. 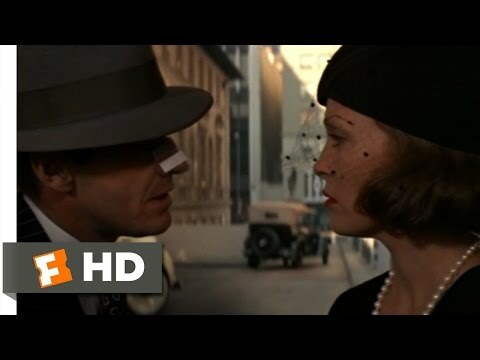 Chinatown has become a classic Hollywood film in part because it introduced the movie-going public to some of the best movie quotes of all time as well as being widely regarded as one of the greatest movies ever. The film, which plunges a private detective into the seedy underbelly of city politics and family deceit, was a critical success with eleven Academy Awards which included a win for the Best Original Screenplay Oscar. 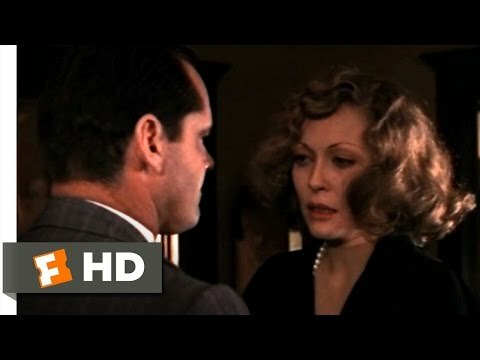 This list includes all the best Chinatown lines and moments, just as they appeared in the actual movie script. Whether they are funny quotes, sad quotes, quotes about love or death, all the most famous Chinatown quotes are here. Jake Gittes: I said I want the truth! [slap]Evelyn Mulwray: My sister, my daughter. [More slaps]Jake Gittes: I said I want the truth! Evelyn Mulwray: She's my sister AND my daughter! Jake Gittes: I cut myself shaving. Yelburton: You ought to be more careful. That must really smart. Jake Gittes: Only when I breathe. Noah Cross: Either you bring the water to L.A. or you bring L.A. to the water.